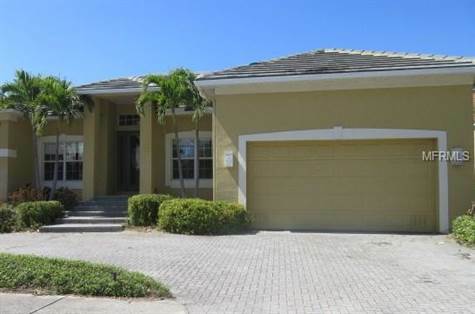 Waterfront home with endless of possibilities in upscale waterfront subdivision with gated entrance and community pool. Buyer is encouraged to have home inspection by qualified professional before purchase. Buyer assumes all responsibility for verifying all HOA, utility, pet, leasing, HOA Amenities, tax and CDD information.